DONTNOD has so far released two games: 2013's often forgotten Remember Me and the breakout success Life Is Strange. 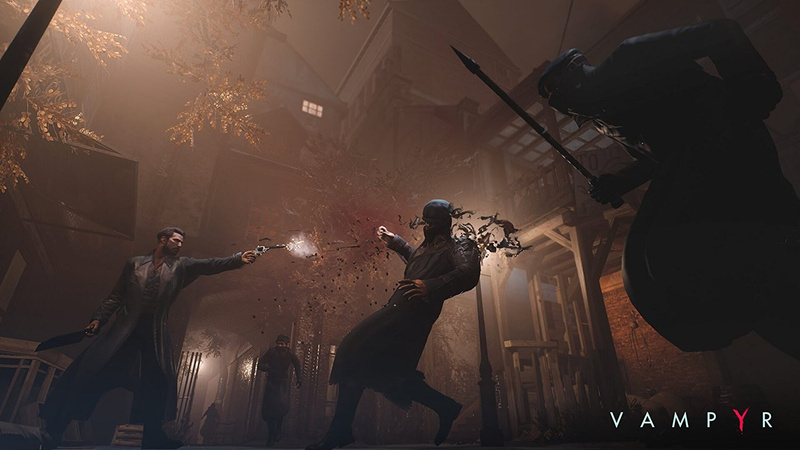 Vampyr is the ambitious company's latest project, and it combines the action of the former with the narrative focus of the latter. You play as Jonathan E. Reid, an acclaimed surgeon recently turned vampire who's investigating the outbreak of influenza and its possible connection to the sudden appearance of vampires. It's set in a fictional version of early 20th century London, with the first World War a very real backdrop. Gameplay is a constant balance of Assassin's Creed-style combat with the chattiness of Life Is Strange. You'll get to know each of London's 60 inhabitants intimately by having very long and deep conversations, and occasionally completing a quest or two. This is an integral part of the experience, because the more you know about a civilian, the more experience you reap when you claim them as a victim. Remember, you're a vampire with a craving for the blood and flesh of the living, and at any moment you can stun them and lead them off into a dark corner to have your wicked way with them. As an RPG, experience is super important as you use it to upgrade your abilities – which dictates how well you'll perform in combat. Using this XP, you'll unlock a variety of skills that focus around using blood as both a boon for yourself and a weapon against the enemy. Skills range from healing yourself to throwing spears of blood and even boiling your enemy's blood to such an extent that they explode, dealing damage to all nearby foes. It would be glorious if it wasn't so janky and basic. To be clear, the combat isn't bad or broken. You hack away at enemies, dodge their attacks, and you can stun or parry depending on the type of weapon you wield. Then there's ranged weapons you can use while fighting from a distance, and your vampiric abilities – which are pretty well animated and feel quite fun to pull off. The problem is it all just pales in comparison to a bunch of other games we can mention, and it's a little janky. You have to target an enemy to parry their attacks, for example, which feels a far cry away from the stylish counterattacking of the Batman: Arkham games. The general hacking doesn't feel quite as tactile as Middle-earth: Shadow of Mordor or Assassin's Creed either. It doesn't help that it's incredibly jarring when compared to the conversational side of the game. 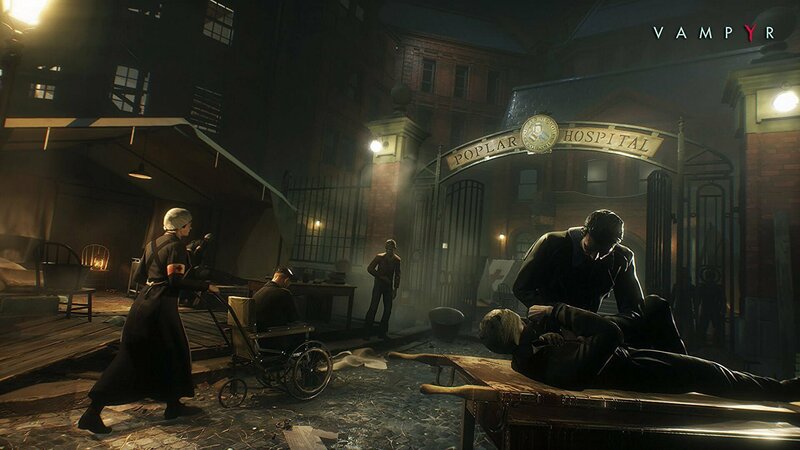 You can go from having a very civilised chat with a patient or fellow doctor while working your night shift at the local hospital, to suddenly racing around the streets beating several different shades of blood out of the city's militia and feral vampires. You could consider it a nice change of pace, but it never sits quite right and it really jars with Jonathan's character. 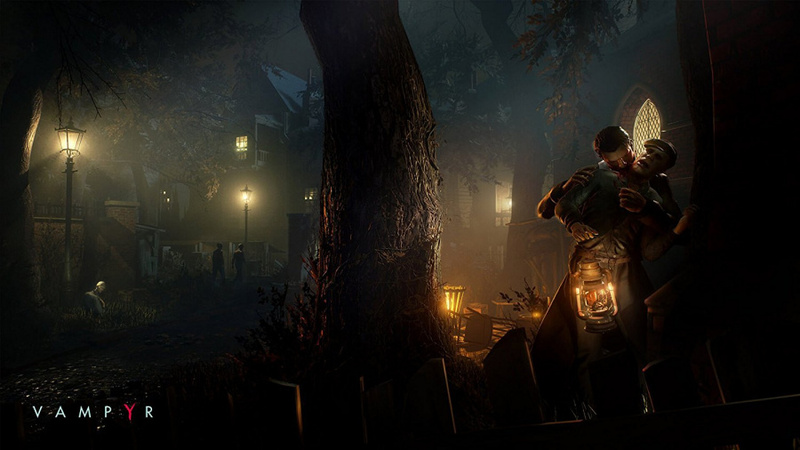 It's even more confusing when you consider that Vampyr could have survived very well without it. As you can expect from the guys behind Life Is Strange, all dialogue is very well written, and there's a pretty fascinating cast of characters to get to know. The fact Jonathan's a vampire isn't even made redundant by the loss of combat, as you often use his vampiric abilities to get more information while interrogating citizens. You can mesmerise them to get them to tell you the truth, check the status of their health while in vampire mode (think detective mode in the Arkham games), and even lead them off for a quick biting session. Tying it into the RPG system is also a very clever move, and can lead to some very serious consequences. Basically, the higher a citizen's social standing, the more XP you can get from butchering them. You can even increase this XP by learning everything there is to know about them, which encourages you to talk to everyone and get out into the world to explore. You really never know where you might find a detail that will trigger a new conversational approach. If you do end up killing a vital NPC for a massive boost in XP, you might end up destabilising an entire district. 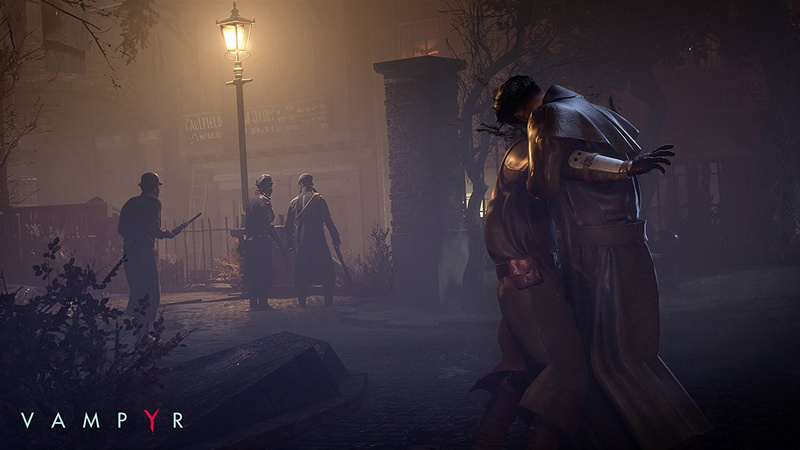 Most districts in Vampyr are being held together by what are known as "Pillars" – important people who do a lot of good for those around them. Keeping these guys alive can have a bunch of different benefits, from staving off the most powerful enemies to increasing the health of citizens in the area. Murder them, though, and the world can get pretty dire for not only the citizens, but you too. For example, you may have to face way more powerful enemies than before. That trade-off could have led to some very interesting and difficult decisions if there was anything actually meaningful to spend your XP on. In a game where combat is the weakest element, new abilities are hardly tempting enough to potentially break the experience by killing a vital NPC. You also generally get enough XP from killing regular enemies and completing quests. Sure, you might not progress as fast as you want and combat will be more difficult, but it's hardly Dark Souls. You might die here and there, but you just respawn right by where you died anyway. It's hardly a big deal. 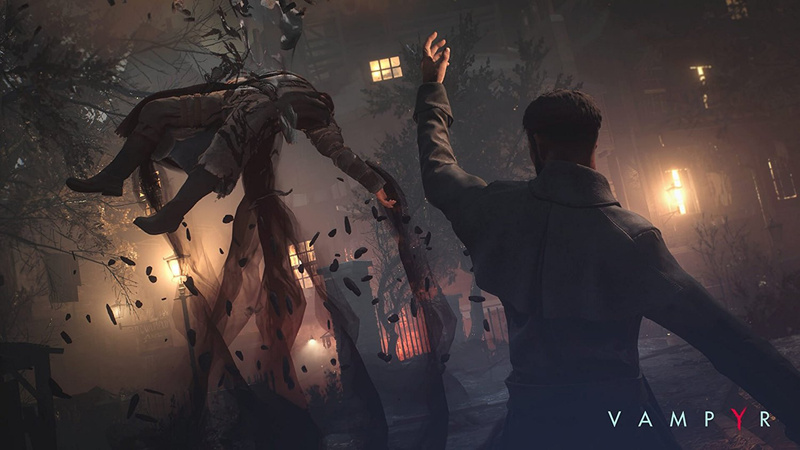 It's a real shame, because Vampyr has some really interesting ideas that never really come to fruition due to its narrow-minded focus on a combat system that's dull, unappealing, and quite frankly unnecessary. If the RPG system was tied into improved dialogue options, we might have had another Life Is Strange on our hands. Instead, it's likely to be another Remember Me. Vampyr has a ton of interesting ideas, an intriguing world, and a great cast of characters, but is ultimately let down by its narrow-minded focus on unnecessary combat. Dang I thought this one actually looked pretty cool, it seems everything about the game is just average and there are way too many amazing games to settle for just that. I will definitely wait for a sale. Thanks for the review; it really isn't surprising and now I can comfortably remain patient. Perhaps worth mentioning that 6/10 isn't some disastrous score. Quite the contrary: the review points out lots of likeable things. That's really too bad. This game could have been great. I'll probably just wait for a sale or get it on PS+ if it ever comes there. Yeah, saw this one coming. The idea is great but none of the trailers leading up to release looked that great. @get2sammyb wouldn't 7/10 make more sense then, the review makes it out to be quite abit more than just average? The reviews for this game are all over the place. I say read a few before writing it off. Looks and sounds pretty good. The review has not put me off. Quite the opposite. I'm just prepared to wait for a decent sale. I really enjoying it granted it has faults and the combat isn't great but it's made up by the story and atmosphere and it's the only game that has made me feel uneasy about killing someone. Can see going through this at least twice , once as the tortured vampire and the other as the evil killing machine. A 7/7.5 for me. pays to always look at more than one review as we all have different opinions. This seems to be one of the lowest reviews i have seen for the game, most places seem to be giving it 7/10. Hope it does well and we see a sequel.so they can make improvements , which can't see happen if everyone waits for it too go.on sale or come.too plus. This game is so weird. People I trust are giving me statements like "This is absolutely a buy." vs. "Yeah, this game is trash." I truly don't know what to think about it. That score was lower than I was expecting. I'm in no rush to get it, but I'd still like to play it eventually. @viciousarcanum Not really: "An above average experience with some flaws, you may still enjoy these titles. A release awarded this score may have evident ambitions which aren't properly realised, or obvious shortcomings which detract from the overall experience. We'll always illustrate in our review which aspects failed to impress." Does.seem a mentality with some gamers that anything below a 8 is not worth getting, been many games that have had6/7 that enjoyed more than a 8 or 9. Also some just see the score and don't read the review and depending on the individual you might rate it higher or lower. I expected this! It looks dated....sad, it could be really cool! @suikoden Yeah, I generally find that I enjoy some games that (rightly) receive 6 or 7 scores over ones that get 8 or 9. Sometimes there's a bit more soul to some of these games, even if they're rough around the edges. It’s too bad about the combat. I’ll play this eventually though regardless of how well or bad it reviews. Out of curiosity I looked up the review for Remember Me, and saw it was given subdued praise, much like this game, and received a 7/10. And like has been said above, I liked that 7/10 game a lot better than many 8 or 9’s due to its innovative setting and ideas. I have a feeling Vampyr will be the same for me. Despite not being polished to the max, the ideas presented in the review are really interesting. It does seem to have a few missed opportunities. I really like that idea of NPCs that are influential pillars which give you more XP if you kill them but at the expense of causing a rift in the society resulting in instability. Great idea! I won’t be buying this right away, but hopefully eventually I’ll have the time and maybe by then it’ll be heavily discounted. Still.my most anticipated game this year, will be picking this up this weekend!!!. @get2sammyb Is there a point to killing civilians other than Exp? 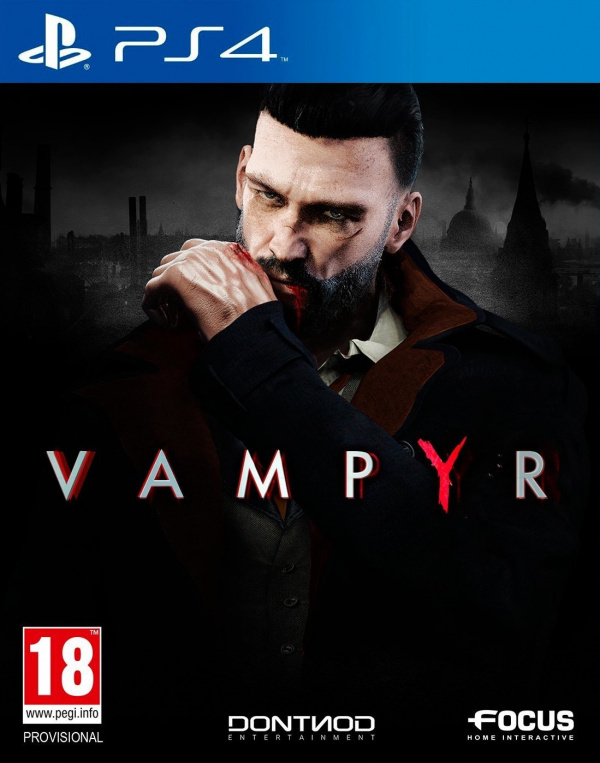 "Vampyr" instead of "Vampire". I'm shallow that way. That said, I think it would be hard for a game like this to get good reviews, most gamers are either going to like action games or story games, when you blend the 2, even of it's done well, people are going to give you points off for the part they don't like. For me, I'd rather see an action game like Legacy of Kain: Soul Reaver, or a Tales game based on Penny Dreadful. Not saying you can't mix them, but you need to have the talent to both, and that's a lot of talent in 2 very different areas of game play. DONTNOD games have always had garbage or no combat, so no surprises there. Not sure if it was my computer screen but some of the areas were really dark when I was watching YouTube clips of this game last week. If every time a score of 6-7 is given and @get2sammyb has to clarify that that is definetly not a bad score. It clearly shows that the rating system is clearly flawed. On other note, OBSERVER got a 3/10 and was an excellent psychological horror game. Great review. Covered important aspects and the text read like it would be a 6. Their other game, Remember Me, also did not get raving scores and I quite enjoyed it. Will check this one out at some point. This game always looked ordinary, apart from its setting. I wish more devs would focus on making the core gameplay fun before getting the aesthetics and atmospherics right. I've always thought that combat is going to be the weakest part of the game based on all the gameplay videos. It's not a dealbreaker for me, since the other elements of the game seem really interesting. While browsing the reviews I've found two quotes that illustrate my point about games (and this particular title), namely that we need more AA titles that take risks and try to do something else and that this may be, liked it seemed from the beginning, a hidden gem. I may still give this a go as the narrative aspect interests me and I liked LiS a lot. The combat doesn't interest me but the characters do. Seems like an ambitious attempt. @Lurker See, RPG Fan spells out exactly why I was disappointed with the game. The decisions aren't hard and they do not have hard consequences. So you have the option to kill NPCs in exchange for a massive chunk of XP, and you spend that on combat upgrades. But it's completely unnecessary. I was killing enemies twice my level with ease! There should have been real rewards in choosing to kill an NPC. It should be super desirable, or the system doesn't work. I just kept everyone alive and had no problems in combat ever, so there was no real tension in my experience. @FoxyGlen Can you change the difficulty setting? Maybe if you put it on hard or 'nightmare' mode or whatever it could make the choice of whether to kill or not more meaningful. @FoxyGlen I imagine that the system may be hard to balance properly. Some reviewers state that the game can be quite difficult when trying to spare everyone and even low level enemies can kill you. @fabisputza00 I think it's less a problem with the scoring policy and more a problem with the general attitude of gaming enthusiasts towards review scores, especially with middling to good scores. If people stopped treating anything less than an 8 as a total condemnation, we wouldn't have to reiterate anything, would we? I remember the combat in Remember Me was labelled as basic but I thought it was still enjoyable, especially on the harder difficulty. I really liked that game. I'll most likely pick this one up in a sale sometime. I'm not really into the whole vampire stuff but the time and setting sound cool and I am a fan of DONTNOD. Seems to me like it's one of those games that some people will adore despite its flaws and others will take one look at and pass on it right away. I also want to wade in on the general scoring discussion. Gamers seem to have different expectations from what's good than in different media, and consider anything less than an 8 not worth their time. Just to prove that I'm not making this up, take a look at Metacritic's scoring system. A movie can get at least 61 to be considered to have "generally favourable reviews" while a game has to hit 75 to get. A 74 is considered average for a video game, which isn't really fair in my book. I think it's best to use the whole spectrum of the scoring system, or you're not really using a 10-point scale. 0 should be awful, 5 should be average, 10 should be near to perfect. Looking at it that way, a 6 or a 7 is a good score. You've also got to remember that your own personal preferences will alter the experience one way or another. I gave Monster Hunter World an 8 but didn't enjoy it as much as Kingdom Come (7) because I'm a massive medieval and open world RPG nerd. If you're a massive fan of vampires, twentieth century culture, and having a good old chinwag in games, you might very well be able to overlook some of the jankier aspects of this. We're certainly not advising you to steer clear – just to be well aware of what you're getting yourself into. @roe It reminds me a LOT of Murdered: Soul Suspect, which I actually quite enjoyed and has a similar reputation. Not interested at all. I'm oot. @FoxyGlen I guess it could be frustrating as a writer that people are often far more interested in the number at the end than in all your carefully chosen words. It's funny, though. The logical part of my brain wants to accept the very reasonable explanation that a 6 isn't outright condemnation, but if, say, The Last of Us 2 got mostly 6s, I'd be right browned off. Still interested in the concept, but a shame that it misses the mark in a few ways. I might still get it eventually, but not going to rush. Well, as we all know anything that doesn't get at least an 8 is the worst thing ever made. @FoxyGlen I’d also agrue that movie critics tend to be more of snobs than gamers. Games are also less divisive. There are a lot more games with good scores across the board than there are movies. Exmaple, I love the Transformers movies (Age of Exctinctuon is my faveorite, so we’ll use that specifically) as do a lot of other people. Find a couple of game series that have similarly large fan bases and have such terrible critic scores. (Average 32). They don’t really happen. @Undead21 I don't exclusively use reviews to judge whether I want a game but the reality is that there are far too many excellent games out there for me to spend my money on games that are just ok, reviews are useful because I am not rich and need to choose what I buy carefully. @Undead21 what does that have to do with anything? I like fromsofware games in general. This game looks average in every footage i've seen of it. It just doesn't look that good. @Undead21 saying that doesn't change the fact that bb is critically acclaimed and is adored by millions of fans. instead of calling out other games go and have fun playing your boring vampire game. I swear I feel like the best combat they have done is remember me, which was totally stunted by the cramped environs. I just want a remember me hd port.